The left-back has been ruled out of Thursday's game with a dental issue. Andy Robertson will miss Scotland’s clash with Kazakhstan on Thursday due to a dental issue. The skipper has a dental problem that reportedly requires surgery, ruling him out of the Euro 2020 qualifier. The left-back featured in Sunday’s 2-1 win over Fulham before travelling with his international squad to get the issue checked out. However, the doctors have since ruled he will be unable to take part in midweek, with his involvement in next Sunday’s clash against San Marino set to be decided closer to the time. The former-Hull City man has been instrumental in Liverpool’s title charge, providing necessary width down the left-hand side to stretch opposition defences and provide threatening balls into the danger zone. Indeed, he has registered ten assists this season, epitomising a modern-day full-back. What’s more, he has helped turn a position of some worry into one of real strength, ridding Liverpool fans of the days where they were left languishing their heads at the prospect of Alberto Moreno or Jose Enrique, two defenders that were far better in the attacking third than their own backyard. 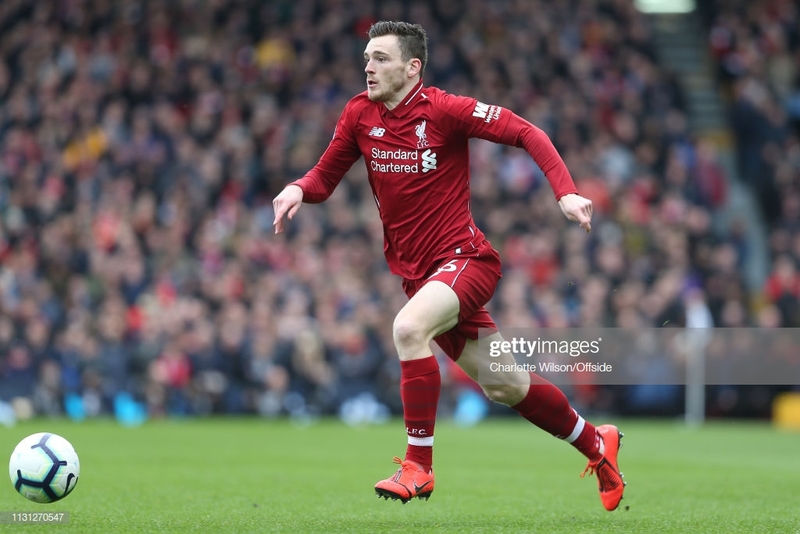 With just a handful of games left in the Premier League season and the race for the title still very much up in the air, Liverpool fans will be buoyed by the fact that Robertson will miss out on international duty, reducing any potential injuries that could transpire to hand Jurgen Klopp a huge blow in the games to come. The Reds’ next game is against Tottenham on the 31st March before a trying month that sees them face two Champions League quarter-final legs, a potentially title-defining clash against Chelsea and an away trip to Southampton, hoping that their rivals Manchester City will drop a point or three to give them control of their own fate once more. Albeit likely to play some part in Scotland's fixtures, the news will come to those as somewhat of a relief, with hopes that it could provide an edge should Liverpool's players remain peripheral to the international games.